Really started to paint with and against myself. Trying out a brighter color palette and will start hand cutting designs on to it next. Still breaking it all apart… this puzzle. About time I started a new painting. 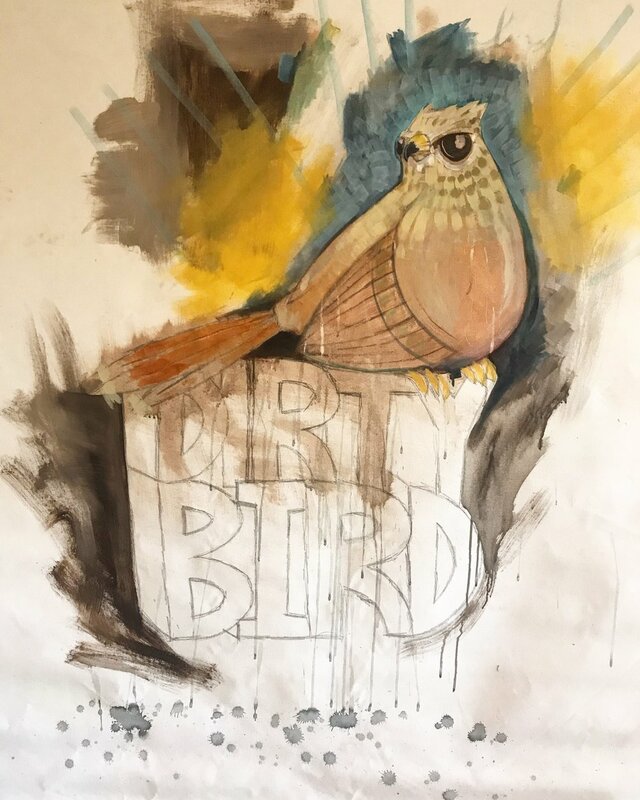 I’ve had a half done dirty bird sitting around the studio since before Summer ‘18. Well I was looking at it tonight and thought I may try to pull off a little sloppy surrealism. Starting to see something. Below is the painting and look for updates to be added as they come. Thanks for watching! 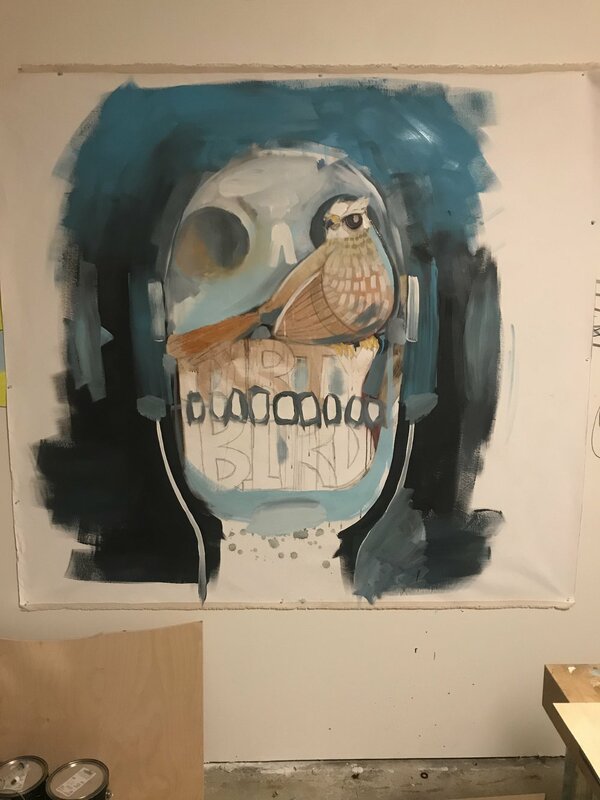 Short little video of new painting I am working on in the studio. Thecreativelife.com to see the artwork. Thanks for looking.